Shoes and Jules: Getting to work on time = free shoes for a year! I have somewhat of a problem. Okay not somewhat, I have a huge problem. I cannot get to work on time. Ever. I was not always like this. Believe it or not, most of my life I was one of those people who was always early. For everything. 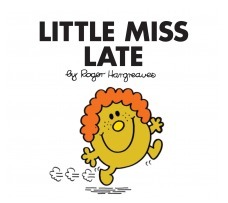 Some time about three years ago I gradually become a chronically late person. When I was hired for my current job my hours were 7am to 3:30pm. For the past three years I've had somewhat of a flexible start time. I would come in anywhere from 7:30am to 9:30am and stay until anywhere from 4pm to 6pm. I didn't see this being a problem for a few reasons: 1) For the most part, I worked a full day. 2) One of my bosses has a habit of giving me projects to start at 4pm (that he needs back that day). So I figured they needed me there later. 3) My class schedule was often a determination of my work time. I would go in to work earlier in order to leave in time to get to my night classes, but I'm currently not taking any classes. Tuesday morning upon my arrival at the office, my bosses called me into their office. The boss who requested me had a somewhat excited, yet strange look on his face and my other boss had a stern, yet strange look on his face. If you know me, you may know that my bosses aren't your average bosses, so I wasn't sure what to expect from this little meeting. They are the most amazing bosses I could ask for! On the other hand, I am often cursing them because they play jokes* on me almost every day. It turns out that the two of them were trying to figure out a way to get me to come in to work on time, without reprimanding me. Something that will actually help me get to work on time. To my surprise, I was told they decided to launch an employee incentive program. It works like this: If I get to work on time, every day, for one week, I get a free pair of shoes. This program will be in effect for one year, meaning I have the chance to receive 52 pairs of shoes compliments of my company! Some of you may think this will be easy, especially because I love shoes so much. The thing is, since my schedule has been this way for several years now I have grown quite accustomed to it. It works for me. I have no problem adjusting my work hours to better suit the company, but it is definitely going to take some time to get used to. I just don't know how to get to work on time anymore! Notice how I did not use the words "wake up". This is because getting up is not the problem. My alarm goes off at 5:45am every morning and for the most part, I get up. The problem is that I put on my WPIX11 news girlies, drink coffee, check e-mails, Tweet, Facebook, write blog posts, respond to comments and do every other imaginable thing (clean my bathroom, rearrange my room, you get the idea - I'm nuts!) while I should be getting ready for work! I can't help it, I get home too late to do much of anything at all after work. The only time I have for my personal life during the week is in the early morning. Although the program starts on Monday, 05.23.11 I figured it would be a good idea to try and start getting to work on time immediately. Did I succeed at all? No. :( Day #1 I was about 20 minutes late and day #2 and #3 I was about a half hour late. P.S. - I slightly tweaked the program. Instead of "one free pair of shoes every week". I turned it into a $50 credit every week. That way I am not only limited to shoes. I also worked it out so that I can combine the credits and purchase a more expensive item. If I could somehow extend this program for another year, I was thinking that I could maybe bank up the credits for a Chanel 2.55 bag. I can still do this now, but I've been working on getting myself out of debt so I think having them reward me with shoes, clothes, and accessories is a better idea for the time being - they way I won't spend as much of my own money.